In this link, I talk about the new Xbox update and this is more on Internet Explorer as I've been using it since. I have owned the Nintendo Wii, 2 Sony PlayStation 3's, 2 Microsoft Xbox 360's, Sony PlayStation Vita, Sony PlayStation Portable, and many more devices. In each of these, web browsers have been introduced (although the SEGA Dreamcast was the first to introduce a web browser) for each corporation. I have tried each and everyone and wondered why the computer giant, Microsoft, never added Internet Explorer (or an Xbox exclusive browser) for its popular Xbox system. Many made the point that Microsoft probably wanted consumers to purchase computers as well as an Xbox. If consumers had the Xbox and a connection to the internet, they may not purchase a computer which could cost them revenue. But it was time that Microsoft caught up with all of their competitors and give users a web browser of their own. I actually like what little of the experience that I've used of it. However...I am dissatisfied with the keyboard mostly. I was looking for the original keyboard that I've gotten used to, to begin using with the internet. But Microsoft knows what they are doing and added a keyboard that actually fits the browser perfectly in that you can use a cursor and navigate the keyboard faster as well as being able the transparency of the keyboard allows for users to see the webpage while typing. My biggest beef? It has to be with the fact that there seems to be no flash support. Flash seems to be the one thing that many consumers must have when using a web browser. I tested it by visiting YouTube and trying to watch a video. 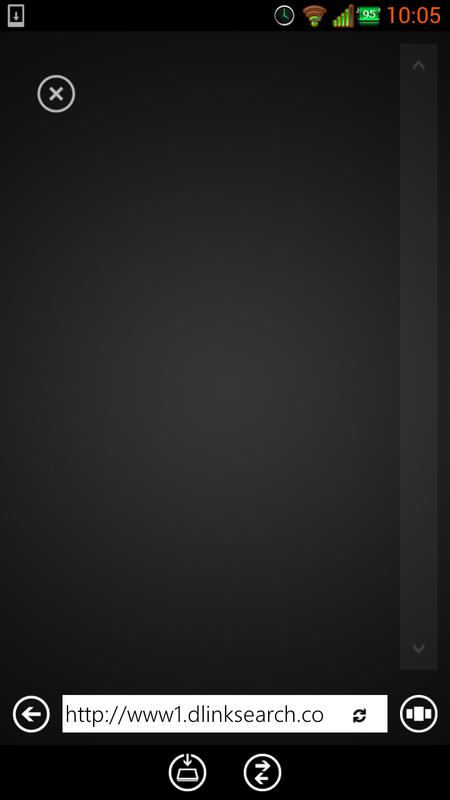 As far as I've tried, YouTube videos can only be played through the app outside of the browser. I have yet to try to visit Adobe's website and see if they have a download for the Xbox, however, it is unlikely. The browser uses a desktop user agent and not its own unique one or a mobile/tablet so you can view the web as you do like you're viewing your computer on the HD television. The cursor is beautiful! I love it. PlayStation 3's web browser uses a standard computer cursor arrow which is cool but Xbox's uses a bright green, roundish cursor. It runs fairly smooth. I have yet to use the Kinect or see if it is compatible with the browser but I will update here if and when I do. One of the things that I enjoyed about the web browser on the Wii was using the nun-chuck controllers. Knowing Microsoft, I'd say that they did add some sort of connectivity with Kinect to make the browsing experience unique and fun for the user. The browser is nice, but I can't say that I'm an expert on it or know everything about it. I'll try to learn and use more of it and detail it with you guys very soon. So, stayed tuned! I have tried out the browser in much more detail and I'm blown away. Microsoft now allows users to connect with their phones to their Xbox and not just with gimmicky stuff like seeing what your friends are doing, but actually using the phone as a remote! Sony did this with their PSP/PS Vita when they took it one step further and allowed the entire emulation of the PlayStation 3 (minus gaming unless you've got a hacked console) onto your device. However, Microsoft still ties with Sony for this awesome innovation. I have a wireless Bluetooth keyboard for my PlayStation 3 that not only has a keyboard but also a touch pad much like the one on laptops. Microsoft allows the same principle to be done on your phone. Naturally, I assumed that Microsoft was going to be a huge jerk and say that this feature is only available for Windows Mobile phones. Wrong. It's also available for Android phones like my Samsung Galaxy S III!! I have yet to confirm if it also works on iPhones/iPod Touches/etc. Here are two screenshots directly from my phone. The first screenshot is of the touch pad in action while on the Internet Explorer app. That entire black area is for your fingers. If you pinch zoom, your Xbox will zoom. If you click that address bar and type something in it, your Xbox will go to that website. If you click that button at the bottom with the two arrows, you will bring up screenshot 2's screen. 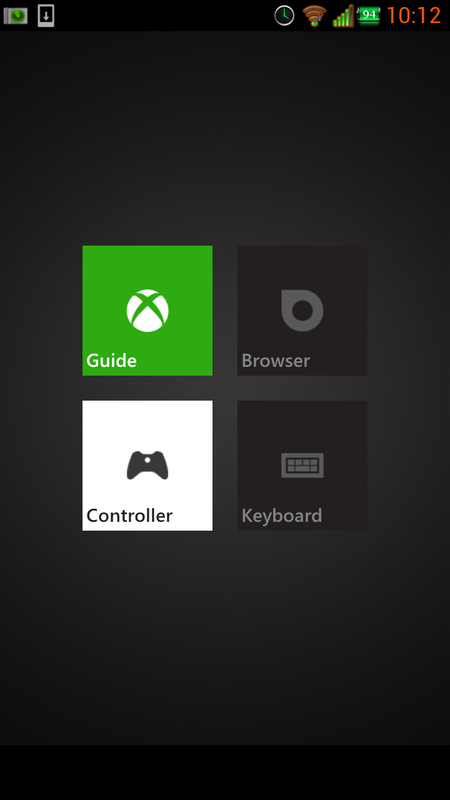 From here, you can pull up the Xbox Guide on your Xbox just like if you were holding your controller. I'm not exactly sure what the controller button does though. When on the Xbox main dashboard, your phone can still navigate through it! You can also navigate through other apps like Netflix (although I have yet to try it). The screen will be black, like above, for your fingers to move. Three corners will have different colors and letters on them just as your Xbox controller has different colored, lettered buttons. Each of these can be used just like your controller. If you click the center, that acts as the green, A button. I searched for flash support, but still haven't seen it. It is surprising that Microsoft didn't allow the app to have flash considering how important it is to people. But all in all, this makes up for not adding flash support and Kinect support for me personally. Unfortunately, games cannot be played with your phone. Just as I suspected, but I tried in hopes of it happening anyway. What do you guys think of this newer Xbox experience? I'm loving it so far. I have confirmed that the Xbox Internet Explorer app can play YouTube videos. The IE app utilizes HTML5. If you'd like to try HTLM5 on YouTube videos, you can do so by pointing your web browser (Google Chrome supports it, Internet Explorer on PC and Xbox supports it...) to this website http://www.youtube.com/html5 You will need to have a YouTube account to use this as it is a trial for now. Once you have opted into the trial, YouTube will load using HTML5 through whatever web browser has such a feature. You can try this on just about any device and any web browser to see if it works. If your web browser doesn't support it, YouTube will notify you through that link telling you that it will not work. I have confirmed that my PlayStation Vita and BlackHood4's Nintendo 3DS do not support HTML5 in their browsers. Upon loading a video through Xbox, the video loaded just fine and played just as it should. But when I clicked on another video, it somehow forgot that I was using HTML5 and said that I needed Adobe Flash. I had no idea but there seems to be a move towards HTML5 and away from Adobe's Flash in recent years but a friend had told me this. Los Angeles to Get 4G LTE on Sprint!